Hi friends! I hope you well! I am getting LATE with this blogging thing! I also forgot to take pictures of the crafts I completed so I'm just off my game. Today, I'm sharing a SUPER cute treat that I help my friend Megan prepare at her daughter's birthday. 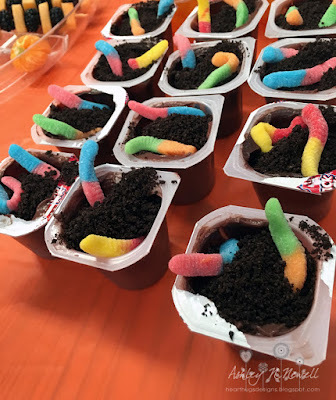 They are dirt and worm cups. 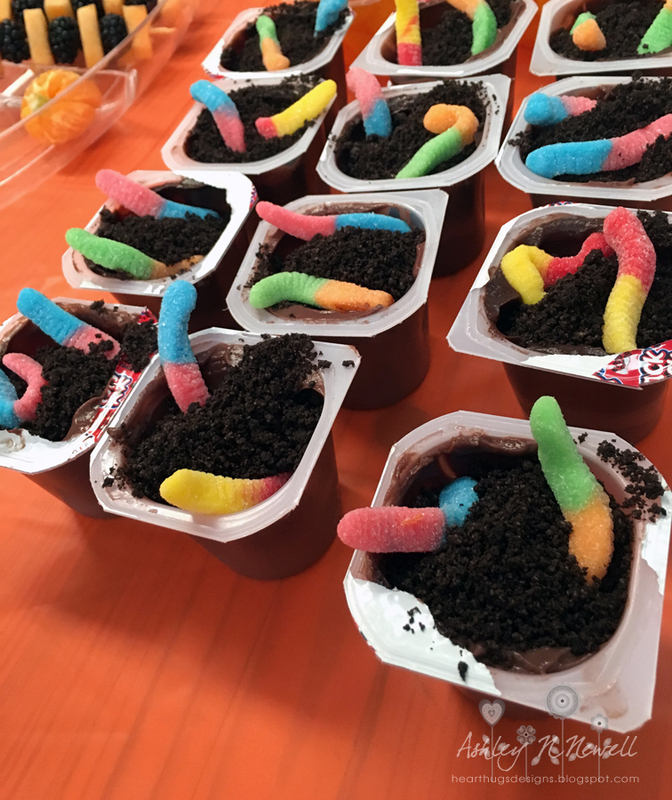 I've made dirt and worms before for my kids but I never thought of using an already made pudding cup, that was Megan's idea. That's genius! This is perfect for parties or bringing to school for a birthday treat. You just crush up some chocolate sandwich cookies, put them on top of chocolate pudding, and add some gummy worms. This is perfect for people who don't like cake! I usually make pudding and put them into ramekins BUT I don't have enough ramekins for a bunch of people and this is just the perfect size for kids to hold in their hands. Hopefully, Megan is ok with me sharing her idea here. I just thought it was perfect! Yum! These would be a huge hit here!